LeBron is arguably the most prolific all around player in NBA history and many argue that he is the greatest player in NBA history. 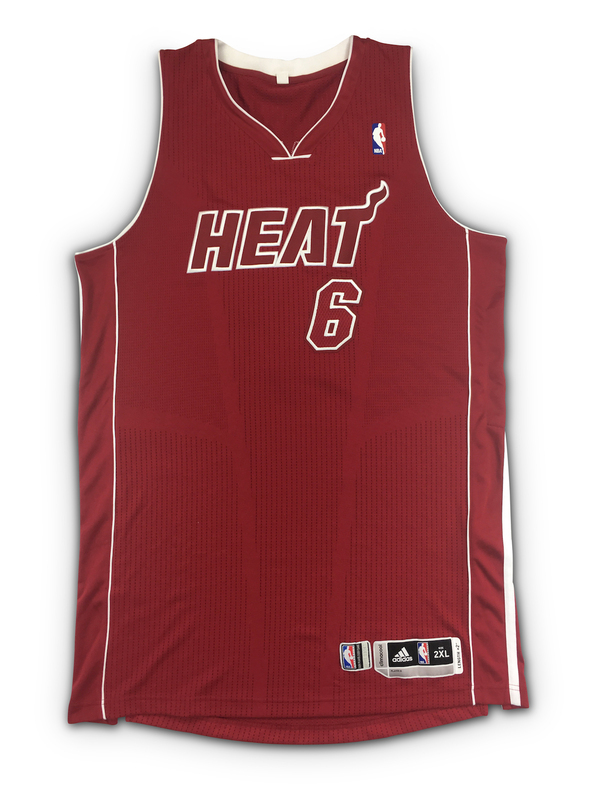 Presented is a perfect team issued Miami Heat alternate home jersey from the 2013-14 NBA season. The size, specs and tagging are all in line with James gamers from the above mentioned season. 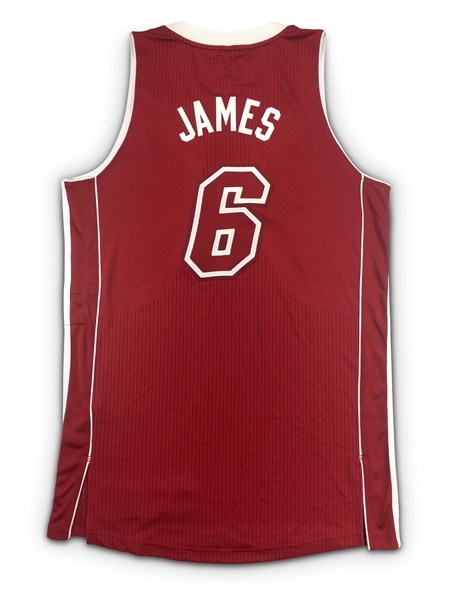 Jersey Specs/Tags: Adidas / Size 2XL / Length +2"